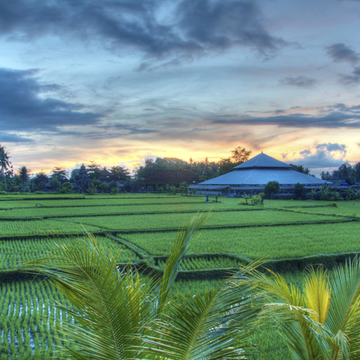 BLISS IN BALI SUMMER YOGA RETREAT WITH MICHELLE GOLDSTEIN AND GARTH HEWITT AT THE BEAUTIFUL SOULSHINE RESORT IN UBUD! Envision, Transform, Manifest ~ Best Time Ever in Panama! 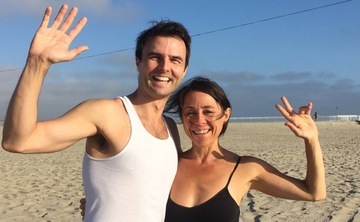 Known for her creative vinyasas (sequences of yoga asana) and pranayama, Michelle Goldstein’s teaching integrates influences from various forms of movement and meditation set to powerfully inspiring backdrops of music. Approaching instruction with a deep spiritual reverence for the sacredness of yoga coupled with a joyous playful sense of humor, Michelles classes offer a safe, nurturing and challenging environment for students to come and explore their mental and physical boundaries. Michelle leads workshops, immersions & retreats worldwide as well as teaching at Equinox Fitness Clubs. She has studied with many inspiring teachers including Bryan Kest, Rod Stryker, Max Strom, Saul David Raye, Erich Schiffmann & Guru Singh.